Uses 3 x AA batteries. Easily replaceable. 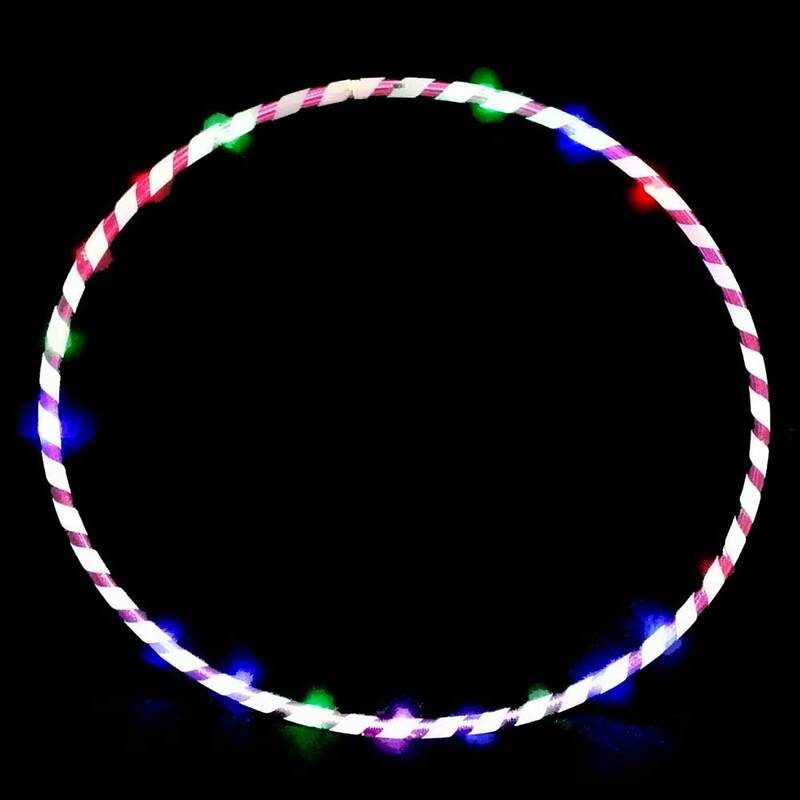 This is a Wholesale lot - One case of 12 LED hoops. Looking to start hooping in a really fun way? Well check out our 28" light up hoop! You can play and create a stunning light show with your friends at the same time. Also great as a decorative item, or as an accessory to your costume. 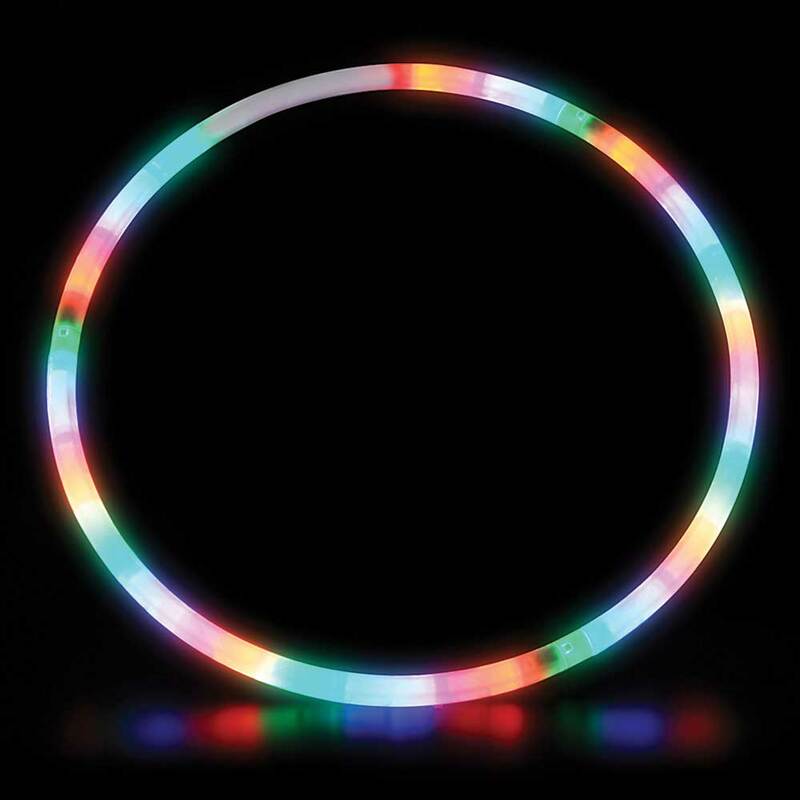 (Like a Hula Hoop, but with lights!) This hoop is on the heavy side, (close to 1.5 lb,) and is thus a bit clunky for it's small size. It is best used as a super cool decoration light piece. Arrives in 3 sections which easily snap together. 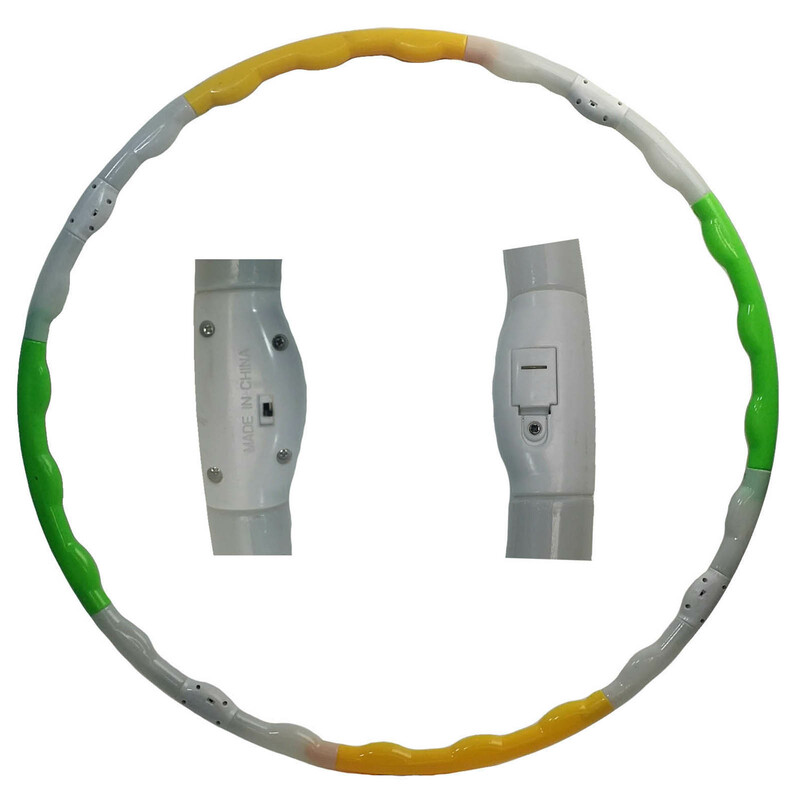 This great LED flashing hoop is 28 inches in diameter and uses 3 x AA batteries that are already pre-installed and easy to replace. Features 6 different modes, so you can set the tone to any party! Makes a great decor item! Hang it under the ceiling, or on the wall, to create stunning effects for the entire space! 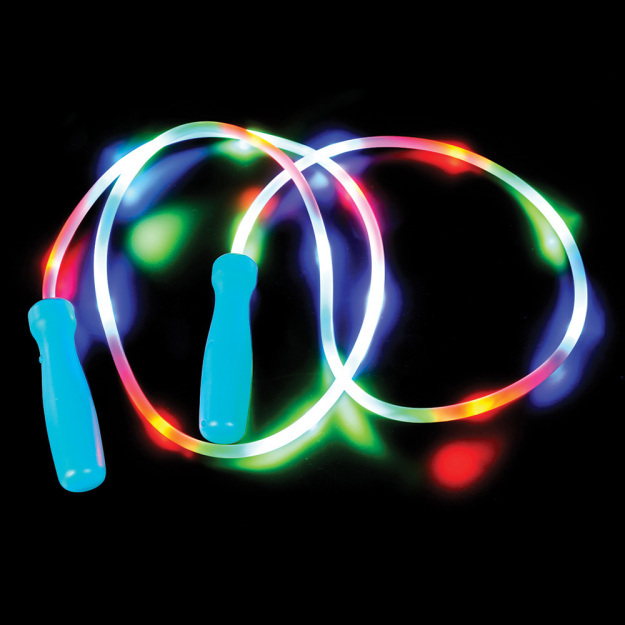 Great for all night-time activities: Beach, Parties, Birthdays, Special events, Event Space Decoration.